If you are looking to get the brand new Samsung Galaxy S9 flagships at a reasonable outright price, and you want to use it with these prepaid carriers, you are in luck! A couple of them, “Simple Mobile” and “Total Wireless” are offering them for $660 (S9) and $760 (S9+) outright on Amazon! You have to use a SIM card for one of those two carriers if you want service, which, of course, you can find on Amazon! And that’s it. You buy it, you pay for it, and it’s yours! No monthly payments, no requirement to have or maintain service with a carrier and such! If you are looking for both a Chrome laptop and an Android tablet, don’t walk, RUN to this offer because the clock is ticking! 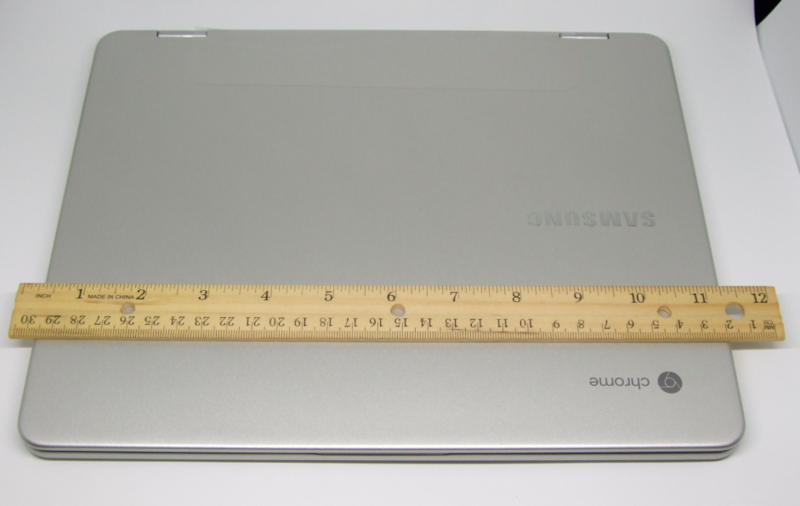 It is the new condition Samsung Chromebook Plus Convertible Touch Laptop, model XE513C24-K01US, that is currently going for $400 by Amazon actual. For a limited time, you also get a FREE $50 Amazon.com plastic gift card. You have to add both the Chromebook and the gift card in your shopping cart. Then you go through the checkout process, you will see a $50 off discount at the top right corner of the Amazon Checkout page that makes the gift card free! The clock is ticking because this deal is made great with a handful of freebies offered by Google, and these must be CLAIMED from your brand new ACTIVATED device by December 31st in 2017. So not only must you buy the laptop, you must open it, and login with your Google account. Then visit the Chromebook Offers page and claim these offers. You can’t claim them with a different device – you must use your brand new Chromebook to do so. The Netflix and Google Play store credit along are worth $86! Add the $50 Amazon gift card, and you are getting $136 back in practical gifts. And that’s before you factor in the value of the Google Drive and the Asphalt 8 car pack, which are more niche in that not everyone is interested in them. NOTE that this is a USB-C device (it has two of them). You have to use adapters or USB hubs for standard USB Type A or micro USB connections! If you have Samsung hardware device that is participating in their lesser known “Book Deals” program (Samsung it survived the regular purge of Samsung’s never-ending stream of projects), and if you have installed the Kindle app from the actual Samsung app store (it has S-Pen support after all), then every month, either for the lifetime of your device or for a preset number of months, you can receive a free ebook every month from a choice of four. Almost all these books are part of Kindle Unlimited, so they have lots and lots of reviews, which can help you device which one to get or which ones to avoid. This unlike Kindle First which offers pre-release ebooks, so you have to wait for a few days before they build up a review profile. One more thing, once you get your freebie, a lot of these ebooks have an audiobook co-promotion. You can add the audiobook for $2 or so. It is June 2017 now, so don’t forget to scoop up your latest Kindle First freebie if you are a Prime member. And if you have an eligible Samsung hardware device, AND you don’t object to downloading the Amazon Kindle app from the Samsung app store (it is S-Pen friendly), for the month of June 2017, you can get one of the following ebooks below for FREE! Unlike Kindle First which offers pre-release e-books, Samsung’s Book Deals offer previously released ebooks that are almost always part of the Kindle Unlimited (KU) program. So if you have a KU subscription, you already have access to all four of these. Every month a number of places give out free e-books. The Kindle First program is not the only one. If you have a Samsung device that is eligible to participate in the Samsung Book Deals, and if you have installed the Kindle app from Samsung’s own app store (not Google Play, not Amazon’s app store), then you can head over to the “Book Deals” section of the app, and select one free ebook from a choice of four. 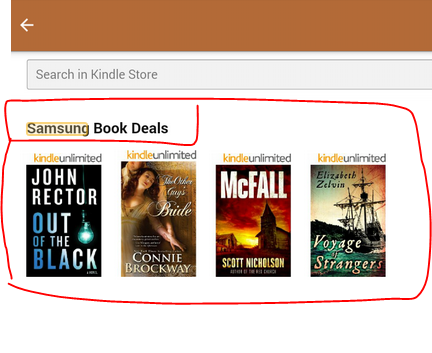 Unlike Kindle First, the Samsung Book Deals are NOT new releases. 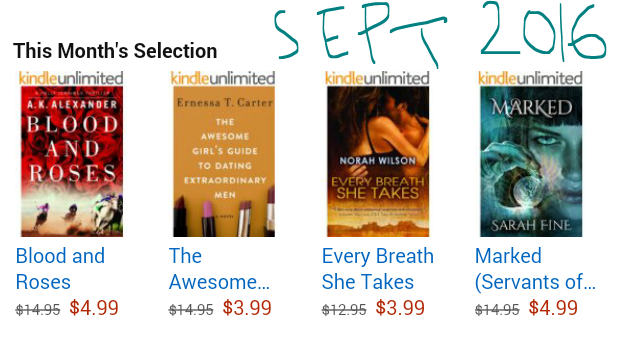 Almost all of them are previously released ebooks that are part of Kindle unlimited. The plus side of this is that most of them have a handful of customer reviews, so you can use those to help you select which one of the four to get for free. If you have an eligible Samsung device, you can get one free e-book per month from a choice of four options, if you use the Kindle app downloaded from the official Samsung app store. This app is tuned to work with the S-Pen, so that’s a plus if you have a Note device! Your benefit and how long it lasts depends on which Samsung device you purchased and when. I have no clue which devices qualifies for what, so that’s up to you to determine. IF you have an eligible device, the four e-books, under the “Book Deals” section of the Kindle app downloaded from the Samsung app store show a price of FREE/$0. If you see an actual price, it means you will pay for it. But fear not, even if so, you can always go to amazon.com/myk and reverse/cancel the purchase. Anyway, to cut a long story short, these are the four choices for January 2017. You have until 1/31/17 to make a choice. Unlike Kindle First that offers brand new e-books, almost all the Samsung Book Deals options are already part of Kindle Unlimited, so they have a built-up review profile, which can help you device if none of the books shout “read me” immediately. OPTIONALLY, once you buy the e-book of your choice, you can add audio narration (Audible audiobook) for typically an extra $2 more. In the strange world of e-book pricing, sometimes it is cheaper to buy the ebook + audiobook, than buy the audiobook directly! 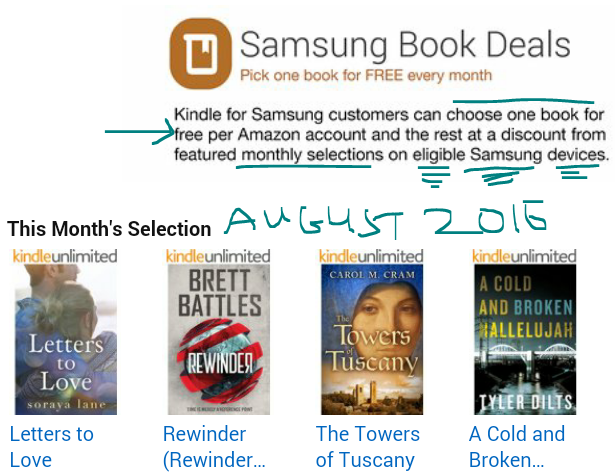 A new month does not only bring new Kindle First choices but also “Samsung Book Deals”. These are not as common because to get them you have to have an eligible Samsung device, and you have to download the Kindle app from Samsung’s own app-store. A plus of that is that it is more S-Pen friendly than the normal Kindle apps. Which devices are eligible and for how long depends on which device you purchased and when. 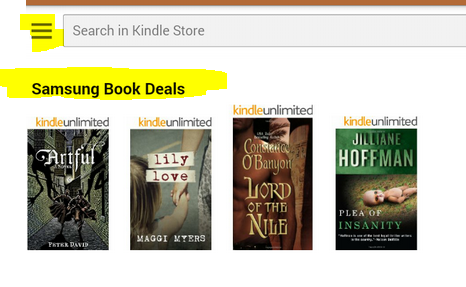 The fastest way to find out is to download the app and look under the “Samsung Book Deals” section. If you are eligible, their price will be $0.00. After you pick one of them, the price of the remaining ebooks will be their normal price. If you make a mistake, fear not, you can go to your Amazon Kindle account page (eg amazon.com/myk) and void the transaction. If you are not interesting in having a touchscreen on your Chromebook (eg when the Android apps arrive), the 11.6-inch Samsung Chromebook 3, with 4GB RAM [a must have these days with Chromebooks because the web is more bloated than ever] is on sale for $180 with free shipping at Amazon by Amazon actual. Limit three of these per customer during this sale. It is powered by the Celeron N3050 1.6 GHz processor, which currently ranks #1663 at cpubenchmark.net. The usual assortment of features for this price-range come with it, 16GB on-board storage, integrated graphics, SD and USB and HDMI ports, etc. All the options together average 4.2 out of 5 based on 152 customer reviews and has about the same number of questions answered over there. Unlike Kindle First which features pre-release ebooks, the Samsung Book Deals typically feature ebooks that have been out already and they are almost all part of Kindle Unlimited, so they often have plenty of reviews to help you decide which one you want.